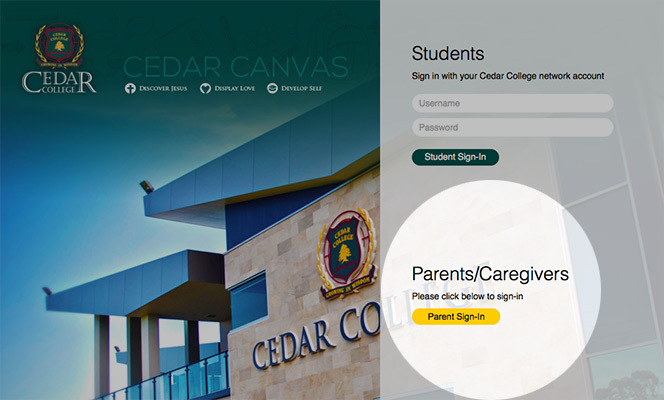 Cedar College has a number of connection points, referred to as a “portal”, which enable the school community to access important information. The way in which the portals are used may differ between year levels and school departments. Students have access to the Student Canvas Portal, which enables them to do tasks online such as access homework materials, upload assignments, review classroom work and contact teachers. 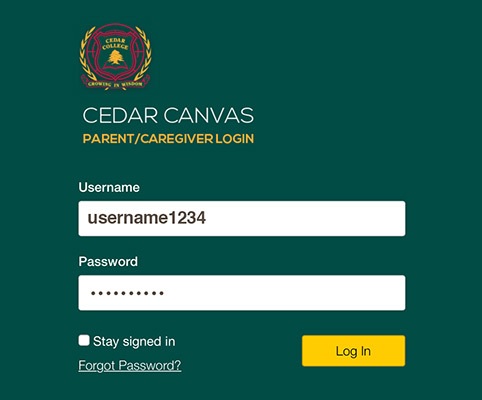 Parents/Caregivers have access to the Parent Canvas Portal, allowing them to view a range of information including student tasks, requirements and due dates. As well as this, Parents/Caregivers also have access to a separate Portal (known as our “Community Portal“) in order to book Parent-Teacher Interviews during scheduled interview evenings. All of these Portals can be accessed via the “Cedar Portals” drop-down menu on the front page of our website, or by using the links below. Shown below are the activation steps (1-7), as well as the High School Presentation, and introductory videos. You may also follow the same steps to retrieve/reset your password if you have forgotten it. Step 1. Click on the Yellow “Parents Sign-In” button. Step 2. On the screen that opens, click “Forgot Password“. Step 3. 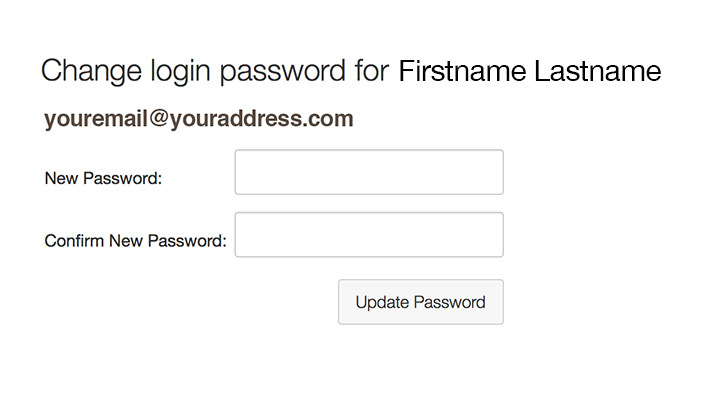 Enter the username which was emailed to you, then click “Request Password“. Another email, containing a link to create your password, will be sent to the default email address that you have supplied Cedar College with. If you have not given Cedar College a valid email address, you will need to contact the Front Office before proceeding. Step 4. When you receive the email, click the link to set a new password. Step 5. Enter and confirm your new password. You will then be taken back to the initial Canvas page. Step 6. Click on the Yellow “Parents Sign-In“ button. Step 7. 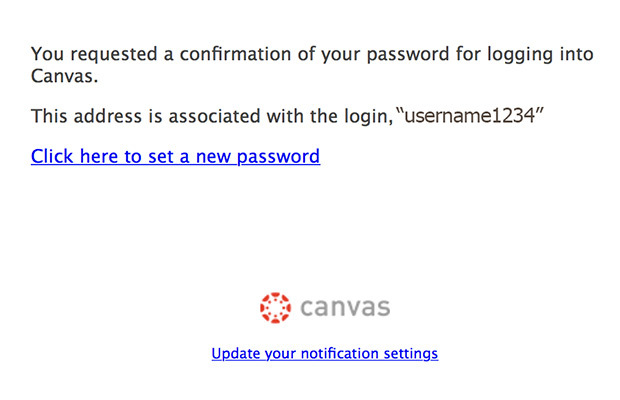 Enter your username (shown above) and the password which you created in Step 4 and click “Login“. You account is now activated, and you may need to read and accept the Canvas terms and conditions. The complete High School Canvas Presentation can be downloaded and viewed as a pdf presentation. 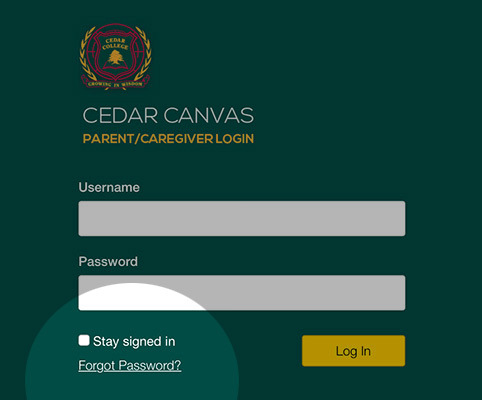 The Canvas Student Portal is for Cedar College students, and requires students to use their personalised username and password. 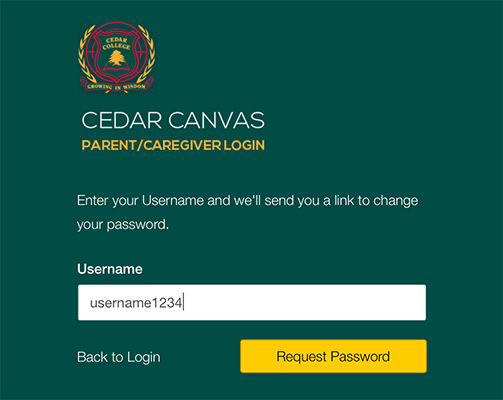 The Canvas Parent Portal is for Cedar College Parents/Caregivers and requires a personalised username and password. The Parent-Teacher Interview Portal enables parents/caregivers to book interviews during scheduled interview evenings. Experiencing problems or need help? Forgotten your Password? Each portal has a forgot/retrieve password facility. Steps to retrieving your Canvas password are outlined in the Getting Started brochures >Primary School Getting Started or >High School Getting Started. Should you experience a problem with the Portal, please contact the Front Office (forgotten usernames can be handled through the Front Office) or use the form below to send details about the issue that you are experiencing and we will endeavour to get back to you as soon as possible. How do I get a Portal username? Portal usernames are emailed out to parents and caregivers. If you have forgotten your username, please use the retrieve/forgot username feature or contact the Front Office. What if I forget my password? Each Portal has its own "Forgot/Retrieve Password" area. You will need to enter your valid username to retrieve your password, which will be sent to the email address that we currently have on file for you. Can I change my password? Yes, each Portal gives you the ability to change your password. Please note that the School Office does NOT have access to your password, but can reset your password if required. What can I see as a Parent/caregiver As an authorised parent/caregiver you are able to see the same information which your student can see, however you only have viewing privileges. Your student is only visible to you, as their parent/caregiver.